Note: I’m writing this post from a nonprofit perspective, because that’s where I have expertise in. However, these fails apply to any organization on social media. Everyday I see nonprofits doing social media wrong. Some are even hurting their reputations from repeated mistakes. So, let’s get down to business and talk about the top five #fails I see nonprofits doing on social media. 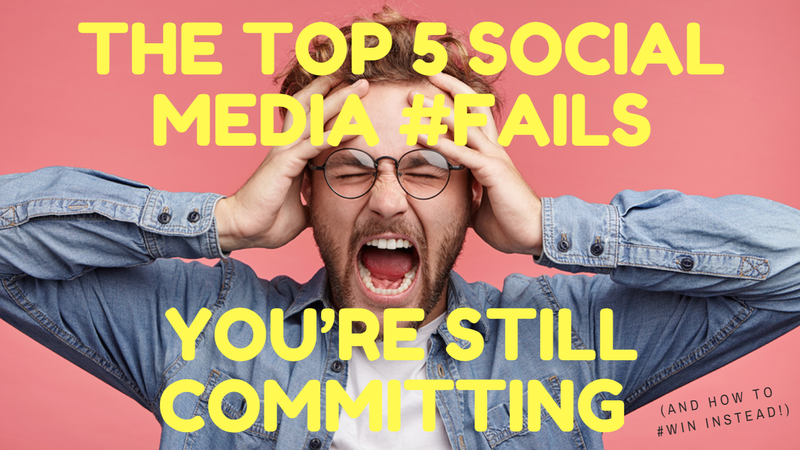 If you’re committing some of these social media #fails, don’t worry. I’m also going to show you how I’ve seen nonprofits create social media #wins. What’s wrong with this line of tweets from a nonprofit on Twitter. I blurred out the content and the account for privacy. 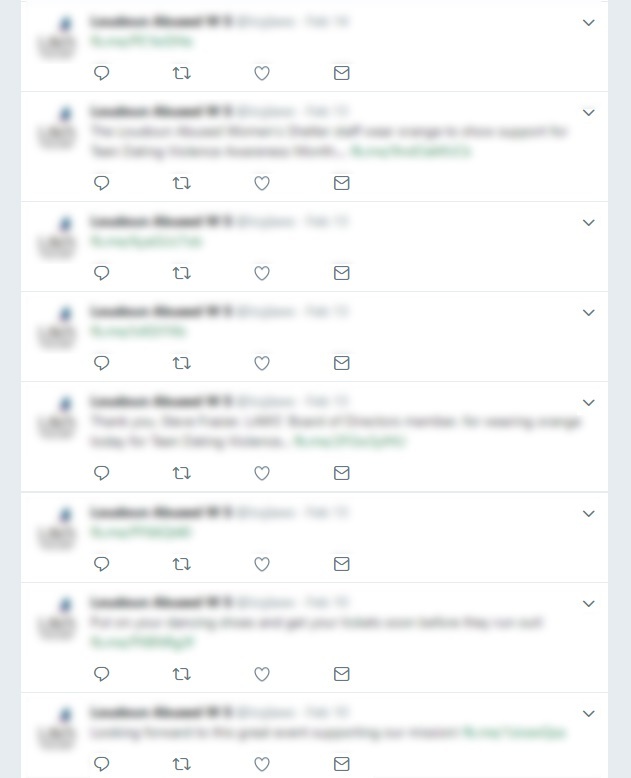 Not a single tweet has any likes, comments, or retweets. So what’s the impact of this nonprofit tweeting every few hours? In fact, most nonprofits I’ve spoken with see zero impact from their Twitter accounts. The reason is that they don’t approach Twitter with the right strategy. They treat is similar to other social media like Facebook, where posts with stories or tips get engagement. But that’s the thing, people turn to Twitter primarily as a breaking news source. Most Twitter conversations revolve around politics, sports, world events, or other news like the Oscars. People turn to Twitter when they want to share their opinions and read opinions of others. That’s why typical nonprofit promotions get lost in all the buzz. Fortunately, the nonprofits that understand the purpose of Twitter see the best results. They jump into conversations that are buzzing. Here’s an example from the National Women’s Law Center (NWLC) that got nearly a thousand likes. 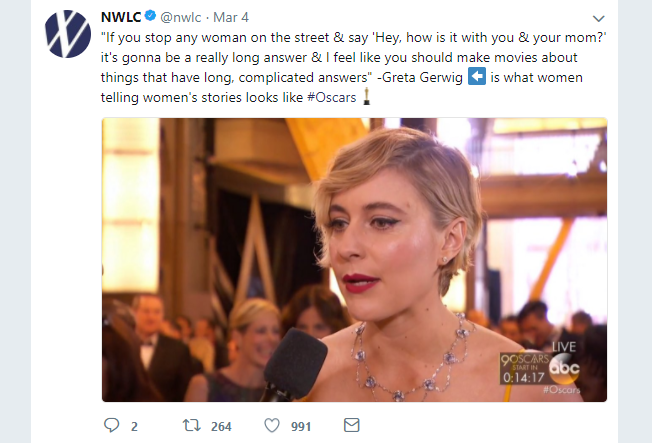 If you scroll through the rest of NWLC’s tweets, you’ll see that every one has high engagement — and that’s because they’re on top of current events, adding their voice as much as possible. This same logic can be applied to any social media platform — it’s only worth doing if you use the right strategy. Otherwise all your effort will have minimum impact. I’ve spoken with a few nonprofits that think an always-on-everywhere strategy is best. They’re active on LinkedIn, Google+, Snapchat, Twitter, etc. etc. etc. Sure, they get engagement on each of these platforms, but with limited resources, they end up spreading themselves thin. Their impact could be doubled by going twice as hard on one or two platforms and leaving the rest alone. 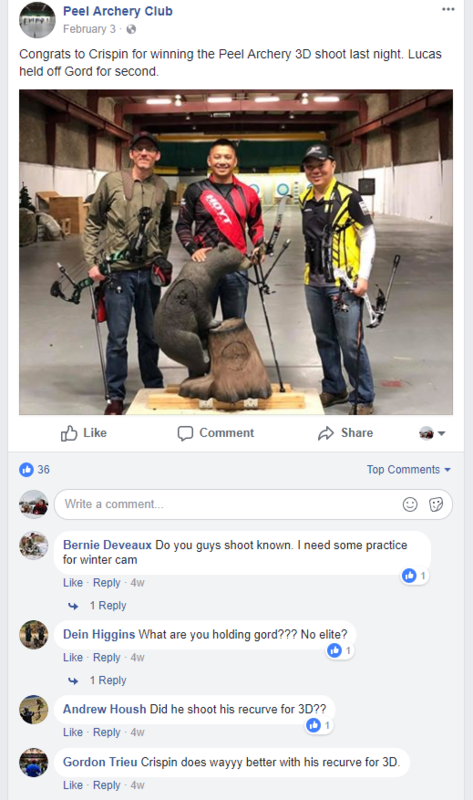 Instead of spreading their resources thin over multiple social media accounts, the Peel Archery Club only has a Facebook Page — and they’re awesome at connecting with their members there. Every one of their posts gets high engagement. Here’s an example. But if you’re just starting out, or aren’t sure where to focus, how do you know which social media platforms are right for your organization to focus on? One of the easiest ways is simply to find out what type of people are on each platform. For instance, if your target audience is younger, it makes more sense for your organization to promote itself on platforms dominated by a younger demographic like Instagram and Tumblr. On the other hand, if your target audience is older, Facebook and LinkedIn make more sense. 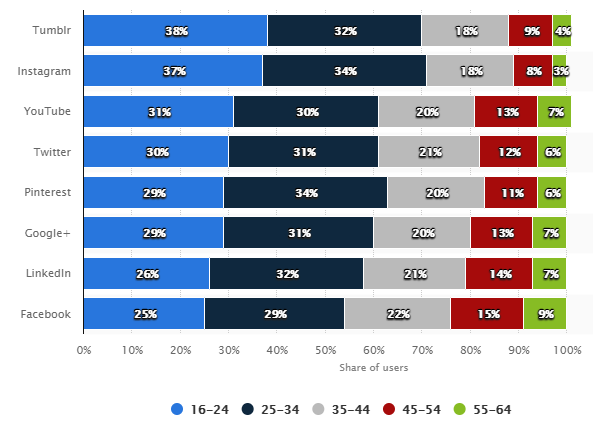 Here’s a chart from Statista that shows the age demographics of all the major social media platforms. Of course, age is just one way to start. If you’d like a better idea of which platforms to be on, ask your supporters which platforms they’re most engaged with, and which they’d like to see more of your presence on. Alternatively, if your organization serves a very specific niche (and Facebook and Twitter aren’t that effective for you), there are other, lesser-known platforms to turn to. Take for example, Musical.ly, and Clips. These are two niche social platforms with growing followers. Snapchat is also still growing in popularity with those under 24 years old and Pinterest has a strong female base, but if your organization isn’t visual or you don’t have staff who can create content for an authentic social stream, then don’t waste your time. Whichever social platform you choose, be sure to do your research, stay current and try out diverse avenues to get people talking about you. Most nonprofits I know want more likes, follows, shares, and friends. But I’m always surprised when I see comments on their pages left unanswered. Turns out this is pretty common. A 2017 survey from Sprout Social found that brands only replied to 1 out of 10 messages that required a response. The nonprofits who do reciprocate conversation, see a huge spike in engagement. 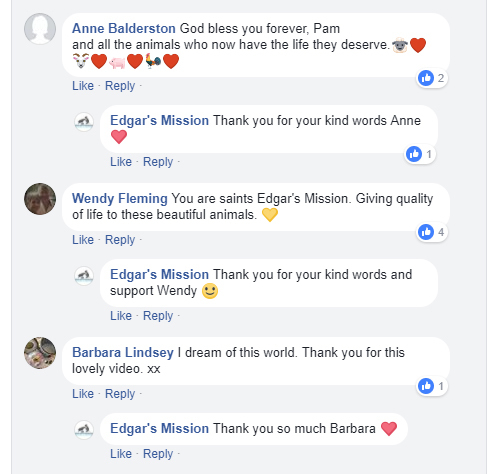 Take Edgar’s Mission, a haven for rescued farm animals. They make it a point to respond to every single comment they receive on Facebook. Naturally, they also get super high engagement. Here’s an example of the comment section from a video they shared on their Facebook page. It’s no surprise that your followers expect answers to questions they post or a reaction to feedback they may have left. Ben runs several successful and engaging group pages on Facebook and LinkedIn, plus he teaches the course on advanced online engagement as part of NTEN’s Nonprofit Technology Professional Certificate program. “It stands to reason you’re always trying to say something of value when talking about your nonprofit, no matter where or when. Social media shouldn’t change that. It can be a really powerful place to find donors and volunteers, advocates and ambassadors all over the world,” Ben suggests. “But nonprofits really need to find their online voice, purpose, and intent. And then turn those things into the strategic engagement your organization needs and the social media experiences people expect and crave. Another huge benefit of responding to comments on social channels is that it actually makes you reach more people. For example, if a post starts getting a lot of comments on Facebook, Facebook’s algorithm identifies that post as engaging and it actually put it into more people's’ feeds. The 2017 survey also found that if disgruntled posters ultimately received a positive response or resolution to their comment, they were very likely to share or post about that positive experience. A simple ‘thank you!’ or ‘sorry’ or heartfelt response can go a long way to boost your audience’s sense of trust and connection to your org. Make it a goal to respond to every single comment on your accounts. I’ve even personally reached out to followers by direct message to thank them for following me. I’ve been surprised at the responses I’ve gotten and the invaluable connections I’ve built from doing that. Who doesn’t like a good laugh when you see a friend make a hilarious spelling mistake online? On the flip side, people can feel differently when those mistakes are made by businesses or organizations they’re meant to trust. Spelling and syntax errors not only come off as lazy and unprofessional, they can really take a toll on people’s perception of your organization. If I can’t trust you to spell check, why would I trust you to handle my money? Avoid spelling and grammar mistakes (like these 11 embarrassing mistakes from brands), reread your posts, and get a second pair of eyes just to be sure. Studies show that the internet has ruined our attention spans. Like it or not, you now have a shorter attention span than a goldfish. If you do this, you’re actually teaching your followers that your content isn’t interesting. And as soon as people think your content isn’t interesting, they stop following. Now, it is true that posting frequently and consistently is key on social media, but when it comes to the actual content, you have to keep things fresh — in fact, it's proven that people remember things better when they are exposed to the same information in varied ways. But, it can also be hard to keep being creative with your messaging, and hiring a writer and graphic designer can be expensive. Fortunately, there are many free tools that offer social media templates to help you create beautiful and engaging social media posts easily, like Canva, Lumen5, or Giphy. And if you need some ideas, I usually turn to this gigantic list of 120 social media post and content ideas for some help. So, for your next event promotion, instead of just saying, “Hey Guys, come to our event!” consider posting a video promo, then an image, then a quote from a speaker, and then a list of the top things to do at the event. Keep mixing it up! Just remember, at the end of the day, your followers want content that reflects them and their interests, so pictures of your members, board, volunteers, staff, and supporters always win when it comes to social engagement. This point is really short. When it comes to hard numbers, I haven’t come across a nonprofit that gets the majority of their donations, members, volunteers, etc. from Facebook or Twitter or Instagram (if you know one, I’d love to hear about it!). The reason is that email is still the breadwinner when it comes to generating revenue online. In fact, the Global NGO Technology Report, a survey of over 5,000 nonprofits, found that email is still the most powerful tool to gain support. Social media on the other hand, can help boost that success by increasing the reach of your messaging. So, if you’ve got limited marketing resources, email marketing should be your number one and social media marketing should be your number two. And remember, social media is just one of a whole repertoire of engagement strategies you should be employing. Since supporters of your organization have hundreds of other ways they interact with your organization (by email, phone, in person, events, PR, etc. ), make sure you’re creating a consistent brand across all areas of your organization for the best success. So, here's to less social media #fails and more social media #wins! I found this to be very helpful , even though we are not a non-profit organization. You have answered a few questions I already had regarding social media. Thank you. Nice to see you practicing what you preach ~ responding when people comment!